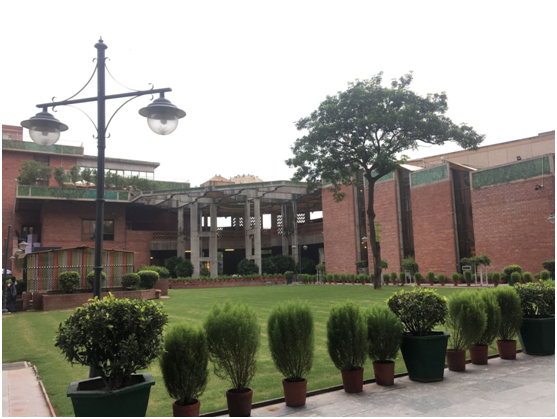 On Aug.27, OKCHEM Indian team visited the confederation of Indian Industry (CII) in order to further understand its influence in the chemical field, the status of the B2B platforms, the chemical imports and exports, and the cooperative possibilities it may provide to the buyers and suppliers who want to do business in India. Founded in 1895, CII has around 9,000 members from the private as well as public sectors, including SMEs and MNCs, and an indirect membership of over 300,000 enterprises from around 265 national and regional sectoral industry bodies. With 65 offices in India, and 10 overseas offices in Australia, China, Egypt, France, Germany, Signapore, South Africa, UAE, UK, and USA, CII serves as a reference point for Indian industry and the international business community. In this visit, we met the director of the chemical field in CII, Ms. Rakhee Gupta and had a pleasant conversation. We got to know that CII has more than 400 members from the chemical industry. The chemical sector accounted for 7% of the total GDP of India and Agrochemicals, textiles, pharmaceuticals, and food ingredients were the major markets. 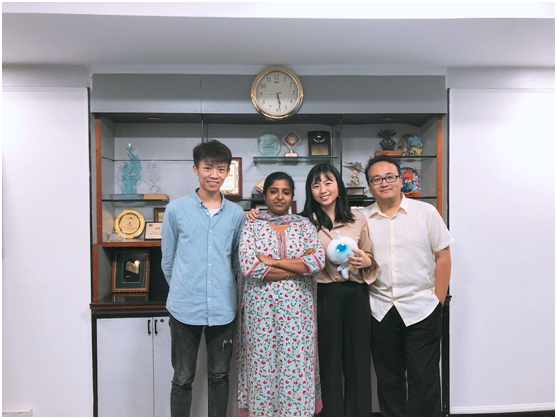 Ms. Rakhee also said if we wanted to explore the chemical market in India, then it was a priority to let the local enterprises know OKCHEM, and she also would be glad to help us. CII also has its B2B website and the magazine Chemisitry Everywhere. According to the conversation with Ms. Rakhee, we got to know that though some enterprises would attend the exhibition and do international business, some other companies may do foreign trade by a trader or on a B2B platform. They were quite familiar with the B2B business mode. Ms. Rakhee introduced the ICPC 2018 which would be held by them on Sep. 5, and invited us to attend the conference for free. Besides, she also recommended some other large associations in India like ICC, FICCI, Chemiexcil to us. By cooperating with the chemical associations in India, our Indian team would provide better localized services for both the chemical buyers and suppliers in and outside the country who want to expand the Indian chemical market.